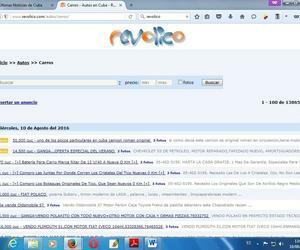 After more than eight years blocked in Cuba, the online classifieds site Revolico.com has returned to the on-line Cuban world. The co-founder of Revolico Hiram Centelles has confirmed CiberCuba that, indeed, the web is unlocked from mid-June in Nauta, but due to inertia or ignorance of most people on the island, these remain accessing it through alternative domains. With this news, unknown by most Revolico customers in Cuba, the web may leave the offline world and stop flowing exclusively through El Paquete semanal and some alternative domains, to be viewed from Cubans’ mobile devices and so, services and functions for which it was designed could work better.